This creeping plant of rich wood shows a foliage that almost looks variegated since the leaf veins contrast so much with the blade. Produce twin flowers in early summer. 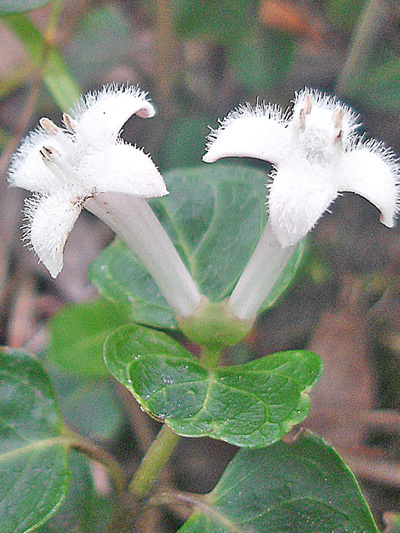 The Partridgeberry gives few fruit, some colonies do not produce any at all. The fruits are edible although a bit bland.